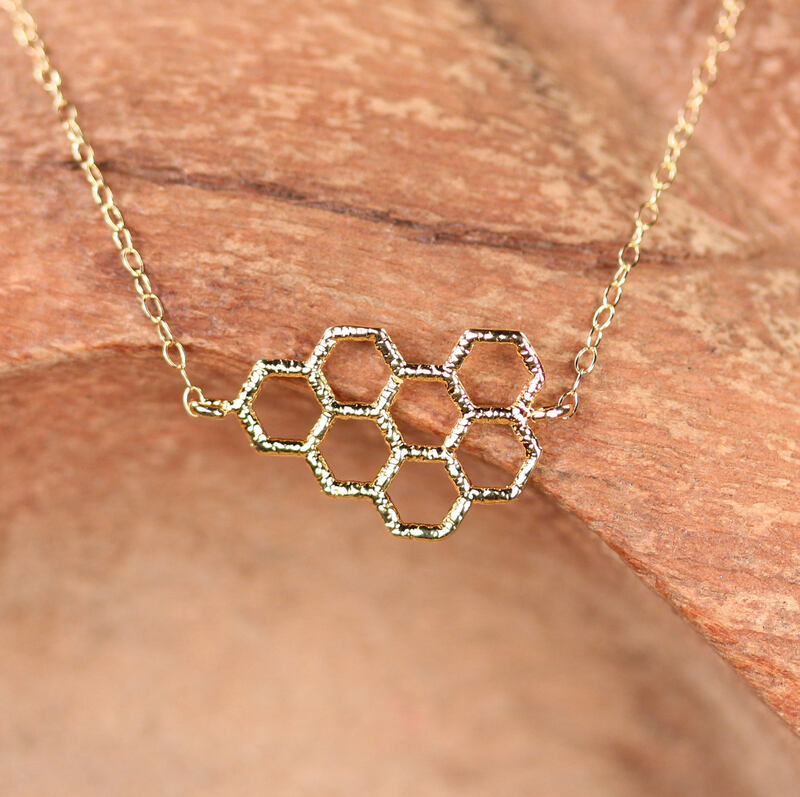 A super gorgeous gold vermeil honeycomb charm hanging from a 16 inch 14k gold vermeil chain. Please feel free to select a different length chain if you prefer! This beauty is also available in sterling silver. SAVE THE BEES!! 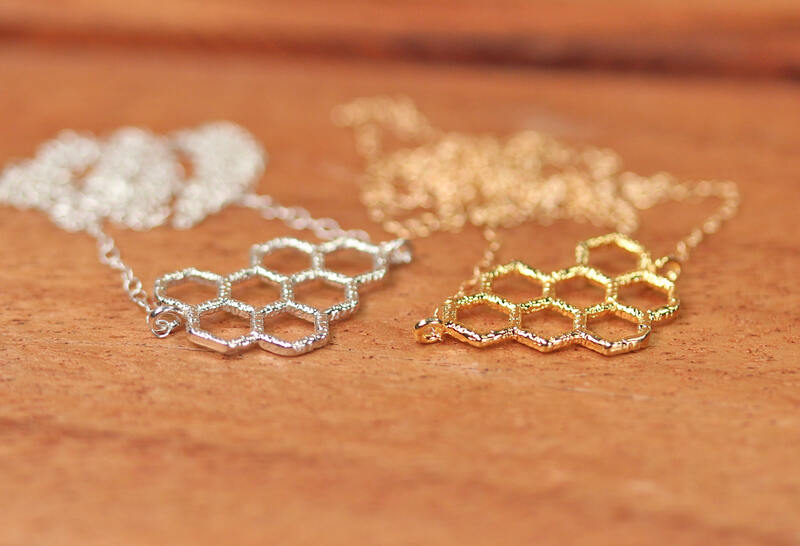 $2 from each of these sold will be donated to a reputable bee conservatory.